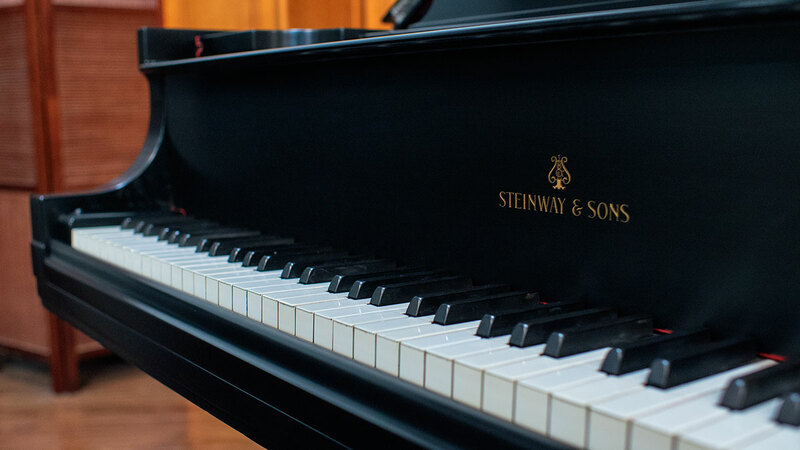 FREE DELIVERY IN CONTINENTAL USA! 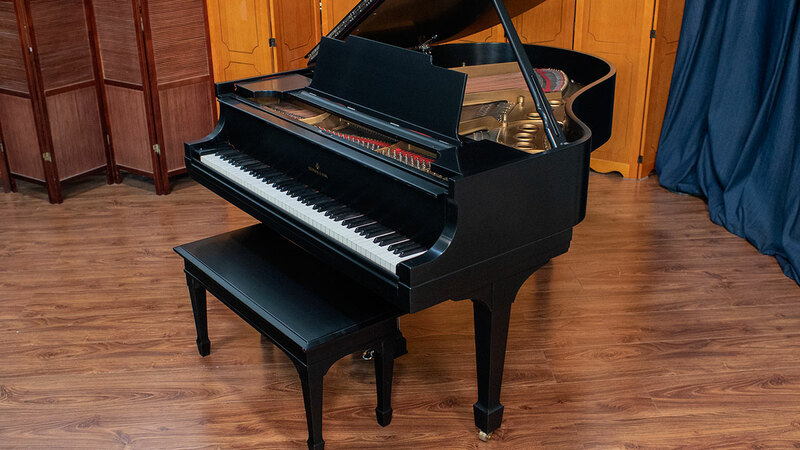 Please click here to apply for financing. 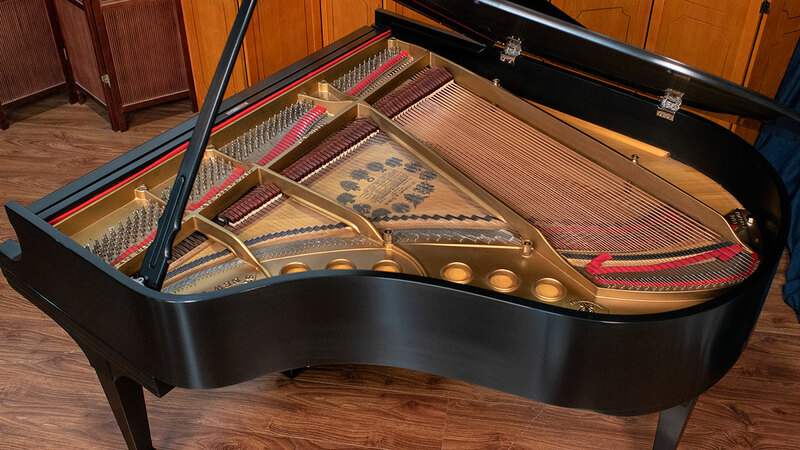 This is a wonderful example of the classic Steinway model M from what many agree to be one of the greatest periods in Steinway’s history. 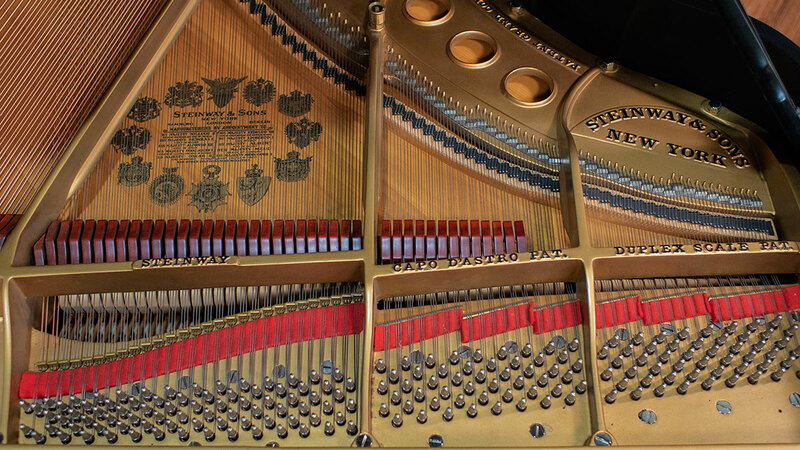 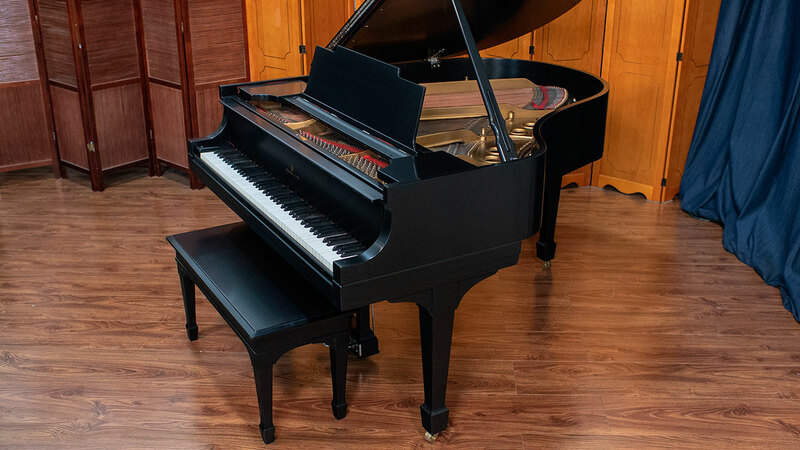 This is also one of the most popular American pianos under 6 feet and the scale design is revered by pianists and technicians the world over. 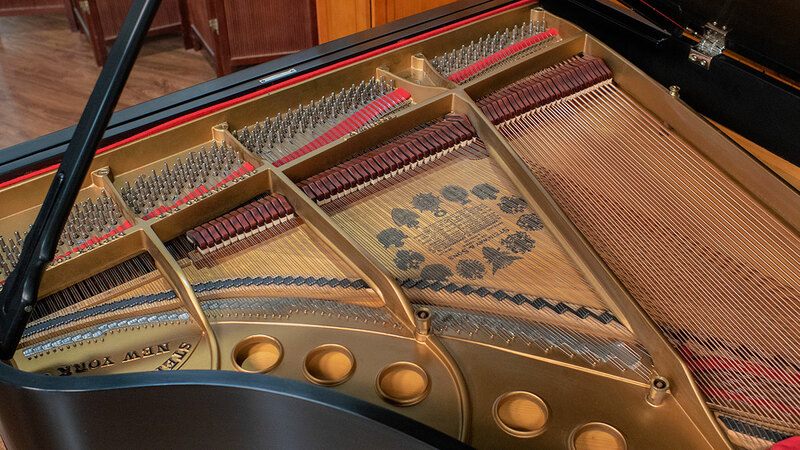 This piano has been restrung and refinished. 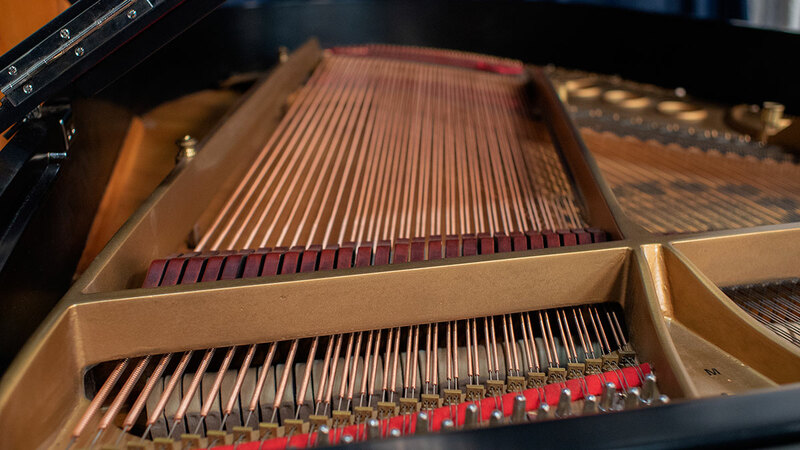 The hardware has also been re-plated. 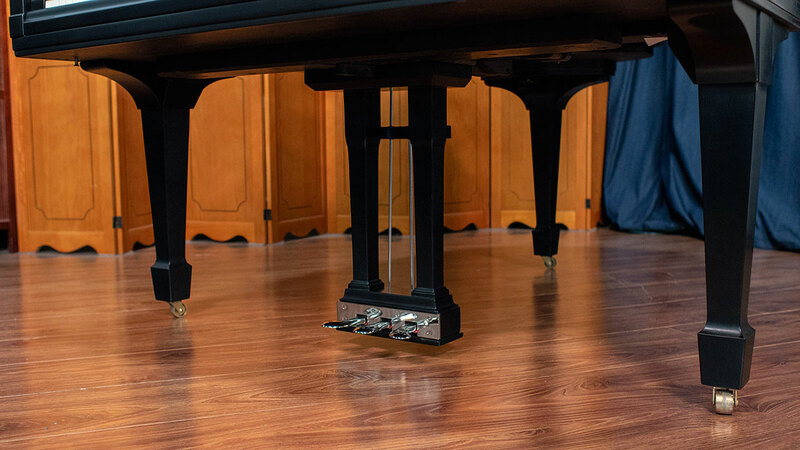 The action is original and has been regulated to factory specifications and is on a concert level of performance. 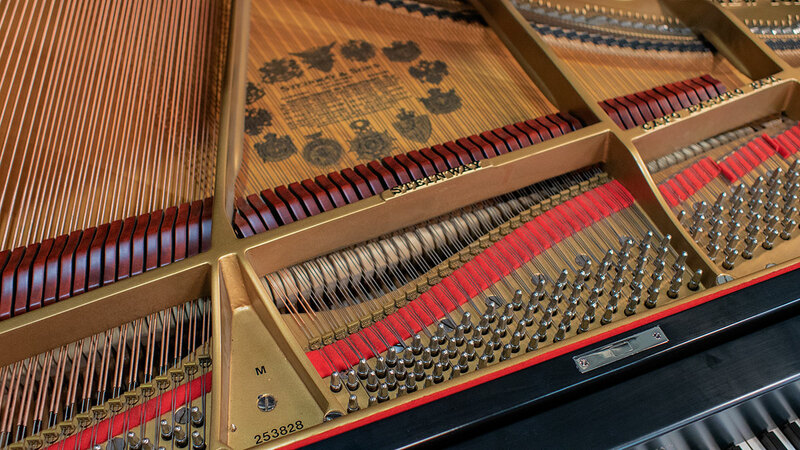 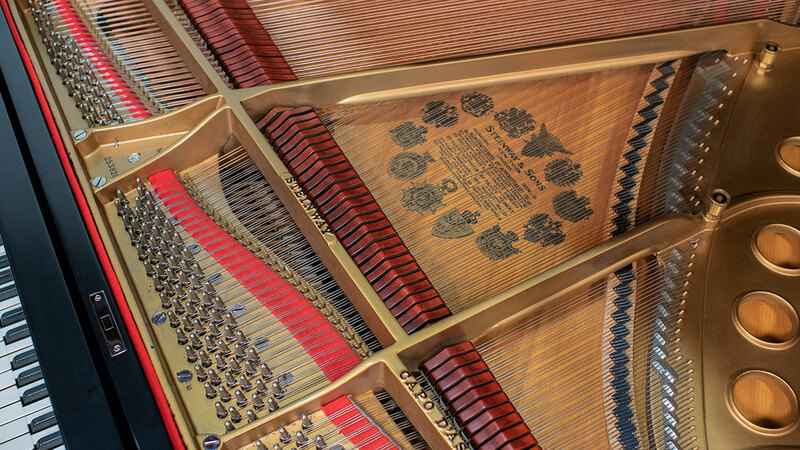 The original keytops (not plastic) are a testament to the loving care and gentle environment this piano has experienced. 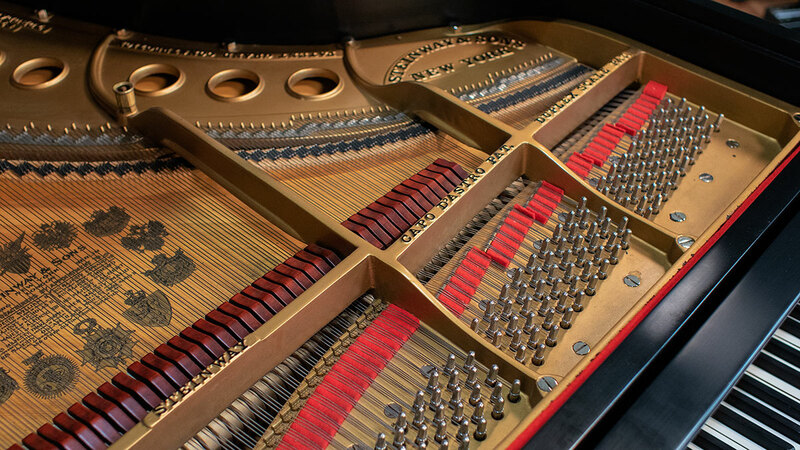 It has a fine soundboard in excellent condition with good crown for projecting sound. 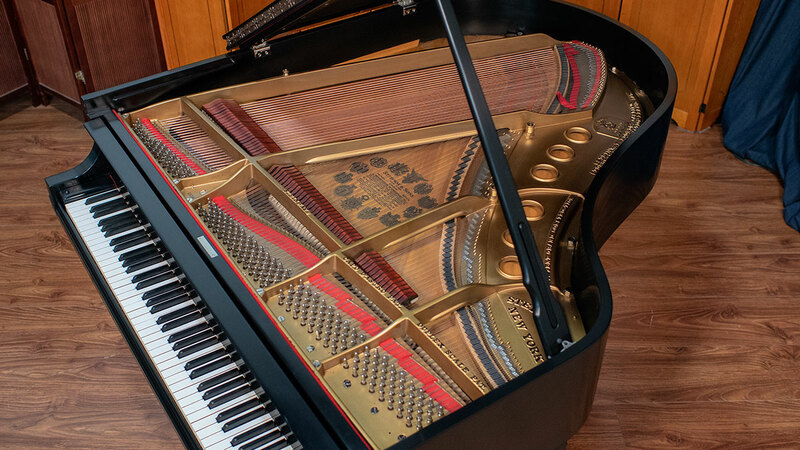 The tone of this instrument is sweet with a singing quality that has warmth throughout all registers. 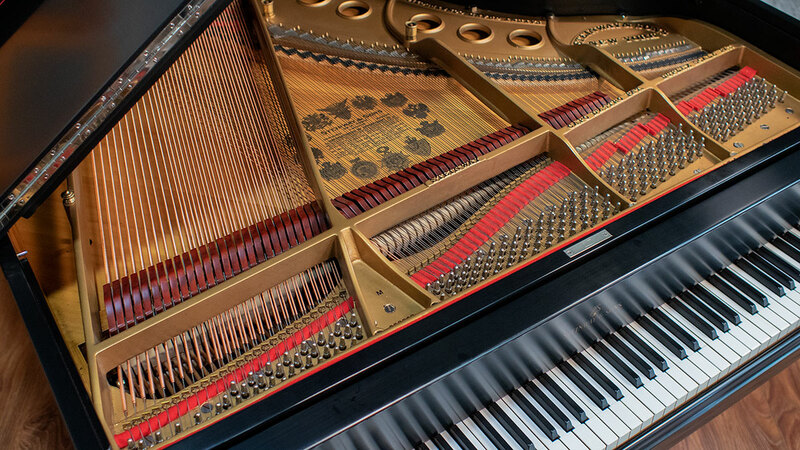 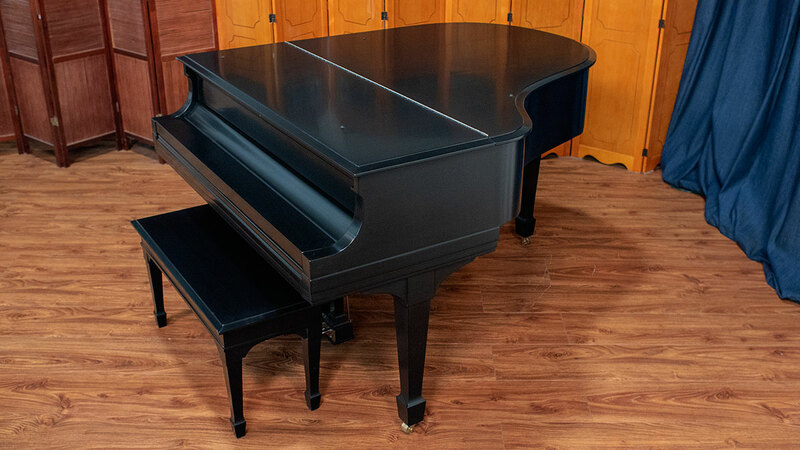 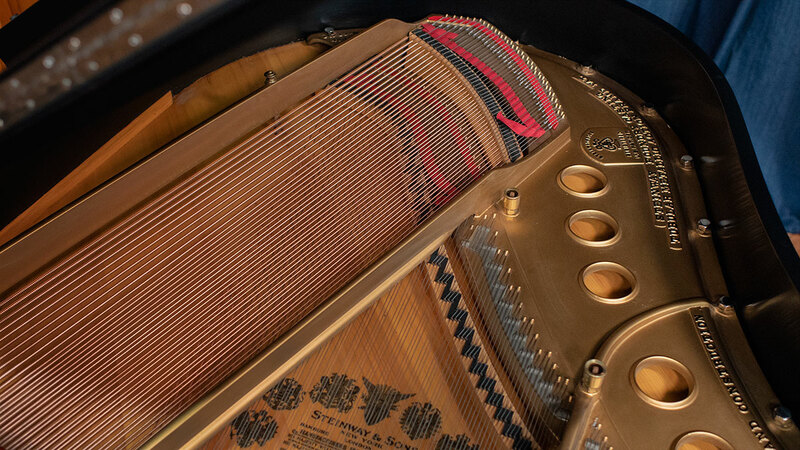 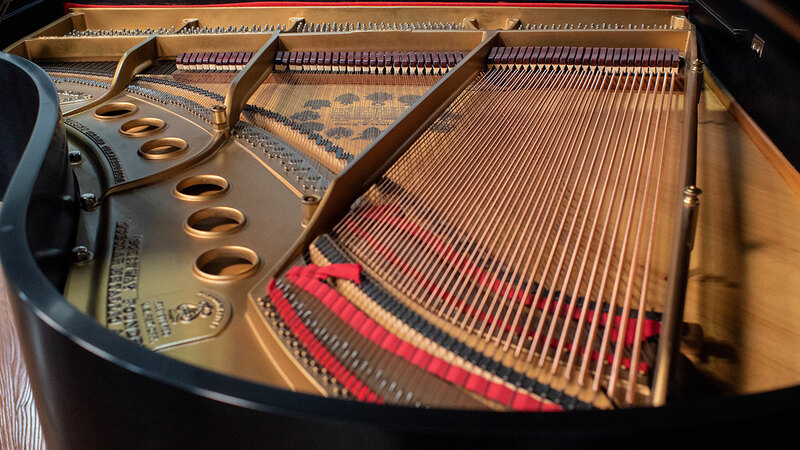 The model M is the perfect match for most homes not overwhelming in size or volume, yet with substantially richer tone and fuller bass than the smaller model S. This piano should provide years of faithful service with proper care and maintenance.